Staring at the close of our second year of family and service with tSB, the Peer Leaders of the 2012 season were asked to reflect on what our year has been like. It’s difficult to sum up what this year has meant. It’s difficult to fully grasp that it’s almost over! After speaking with each other we found two overarching themes of growth and fun. It was an honor to be the bridge that helped new prophets become part of our wider family and work closer with staff and mentors. 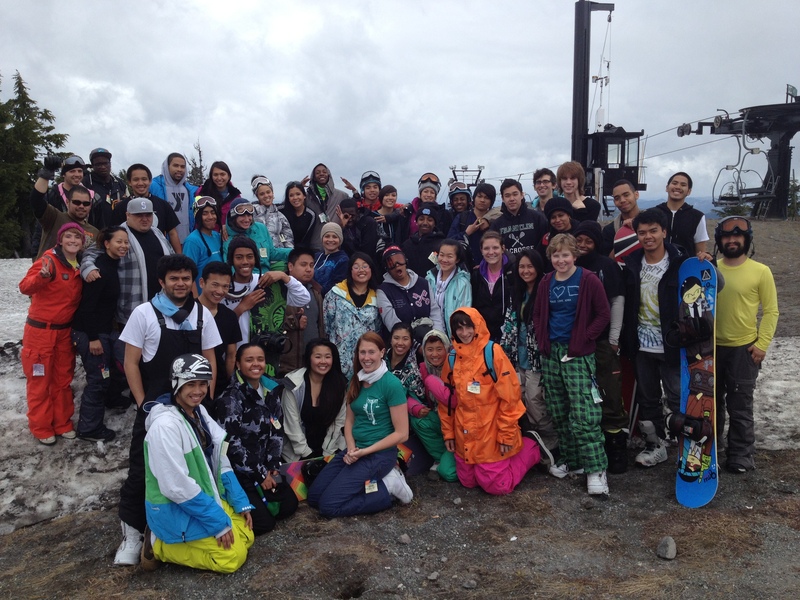 To watch people grow up throughout the year and share laughter, tears and body aches from falling on the mountain. Even more important was being able to be there to offer a hand when anyone lost their footing. We will never forget our multiple PL retreats: Baati talking the whole time through every movie, Leonard’s voice continually getting louder as he told ghost stories, baking with Amanda, waking Khalil up at 2 am because of nightmares, Mickey’s studies showing whatever he decided they did, Kim’s smile, Carlos’ energy, Stephanie’s playful arguments and Sidney missing every retreat! We have all grown up so much and are very thankful for the opportunity. We love tSB!